38. Rama spends the night on Suvela mountain. 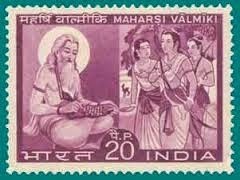 Rama, who was followed by Lakshmana, having made up his mind to ascend Mount Suvela, spoke in a gentle and prime voice to Sugreeva and to Vibheeshana who was the knower of what is right, a Rakshasa devoted to him and who was experienced in giving advice and a knower of prescribed rules . The glorious Rama the elder brother of Lakshmana along with monkeys saw that charming golden city of Ravana, graced with mountains picturesque with various minerals, splendid with gardens reechoing with songs of birds of every kind, frequented by varieties of deer, richly endowed with various kinds of flowers, inhabited by Rakshasas of every degree and duly flourishing, having increased its wealth. The two warriors, Sugreeva and Ravana, who were skilled in wrestling, executed innumerable and myriad revolutions, taking up diverse postures, moving in a curves like an ox's urine, coming and going, stepping side ways, having a retrograde motion to avoid blows, turning about abandoning the attack, dashing towards each other, leaping, standing firm and erect, retreating , turning sideways, rushing in a bent posture, running lifting their foot to kick the opponent and by letting go or stealing away. Rama saw there the army of Ravana armed with various strange type of weapons and armours . Due that great noise , Lanka with its ramparts , arches , mountains and forests began to shake . Those miserable Rakshasas on seeing that the entire extensive space between the walls and the moat were being occupied by the monkeys, and looked like a second rampart cried out, "Alas " in panic. As a result of that the miserable tumult in the capital city of the Rakshasas, the soldiers of Ravana seized hold of their great weapons and sallied forth like the winds that blow at the time of deluge. The monkey chiefs Virabahu, , Subahu, Nala and Panasa after storming the defensive walls of the city took their positions on them. And at that time they also formed several battalions of army there. Gavaksha, Gavaya, Sharabha and Gandhamadana, galloping on all sides, defended the army of monkeys. Some of the terrifying Rakshasas shouted , ‘Victory, victory to the king” , and announced their names . Those Rakshasas and the chiefs , doing terrific acts being eager to win in Ravana's name, marched ahead on horses with golden trappings or elephants resembling pointed flames, or in chariots flashing like the sun and themselves wearing beautiful armours, creating reverberant sounds in all the ten directions. 43.2-43.3. The invincible Agniketu, Rashmiketu, Mitrughna and Yajnakopa wounded Rama by their arrows. The great monkey Sushena along with great anger holding a huge mountain chased that Rakshasa. Those Rakshasas who were there in that darkness of night , attacked Rama with a shower of arrows. While that awful and very intense battle was going on, Indrajit a great expert in tricks of illusion, leaving the chariot, with its horses and charioteer killed by Angadha, vanished from that very spot itself. 45.Rama and Lakshmana fall to the arrows of Indrajit. Those monkeys of great speed , whose bodies were cruelly pierced by those arrows, were unable to see Indrajit in the illusory darkness, similar to the sun being obscured when it is veiled in clouds. Those two pierced by a great net work of arrows , because they were pierced in their vital parts became exhausted and those two great archers who were lords of earth fell down on the earth , shaking violently like the flag staffs raised in honour of Indra , when the chord holding them is cut off. After having told this he wiped the tear stained eyes of Sugreeva with his hands moistened in water. Hearing the words of Indrajit the great charioteer, Ravana with his heart filled with a torrent of joy, relinquished his great sorrow , caused on account of Rama and praised his son with pleasing words. 47.Ravana makes Sita see Rama and Lakshmana who have fallen down. On seeing those two brothers, who were valorous , had lotus like eyes, who were best of men, lying stretched on a bed of arrows there in that wretched plight like the two sons of the fire-god (Shikha and Vishakha) lying on a bed of reeds, Sita wailed piteously, stricken as she was with a great agony. The magnanimous Sugreeva embraced Vibheeshana who was wailing and told him as follows. “Using your arrows make Lanka have only old people and young ones , kill Ravana and get Sita released. The Rakshasas of Ravana with a downcast face informed him of the unpalatable news faithfully. A very bleeding white headless body fell from the sky on earth and inauspicious sounds were heard when Dhoomraksha was approaching and there was a rain of blood from sky and earth trembled. After he saw that Dhoomraksha is dead, Ravana , the king of Rakshasa , was greatly enraged and hissed like a serpent. And polluted by anger , he talked to the cruel and very strong Vajradamshtra . Wearing colourful bracelets and head gear and covered with an armour , he started armed with a bow. Some Rakshasas , left out weapons and performed the fight only with their arms. The Rakshasas were beaten and their bodies made greatly wounded by the monkeys who were fighting with arrogance, with their palms, feet, fists, trees and knees. Some Rakshasas were crushed to powder with rocks. The chief among all Rakshasas climbed in to the chariot and fought with many type of weapons . The mighty Angadha hit at the giant head of Vajradamshtra with a well-sharpened and stainless sword. Akampana who became very angry cheered the Rakshasas using his great strength as well as valour. Akampana like Lord Indra rained many arrows on Hanuman who was standing as firm as a rock. He was burning with great energy and shouting loudly and assumed a form which cannot be defeated . That monkey in a great anger uprooted a Aswakarna tree which was as large as the mountain . When the great one Hanuman who was very angry hit him with a big tree , the Rakshasa fell dead .